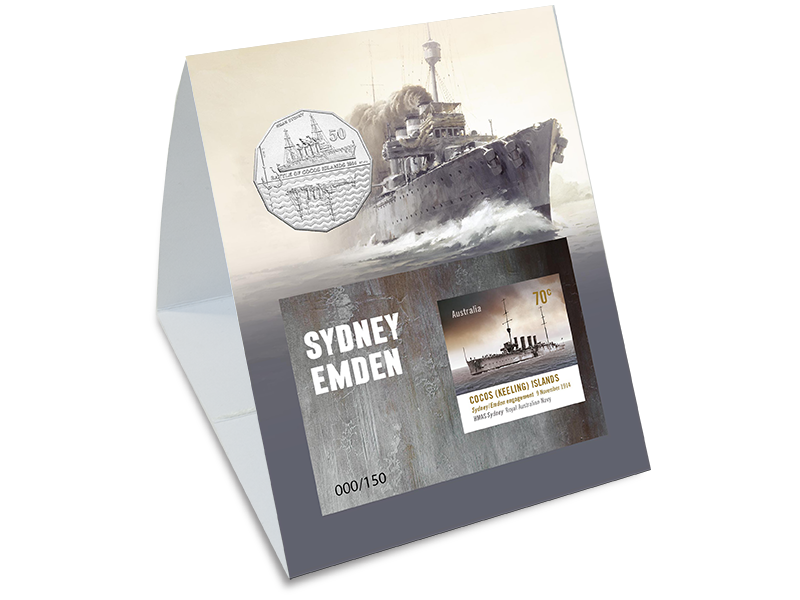 One of my pet hates with Australia Post mail order has been that miniature sheets produced for overseas shows were only available by phoning up mail order, and having to pay the extra $5 handling fee. 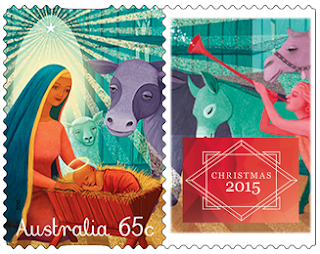 Thankfully, Australia Post has listened to reason, and as predicted are now selling show products online. 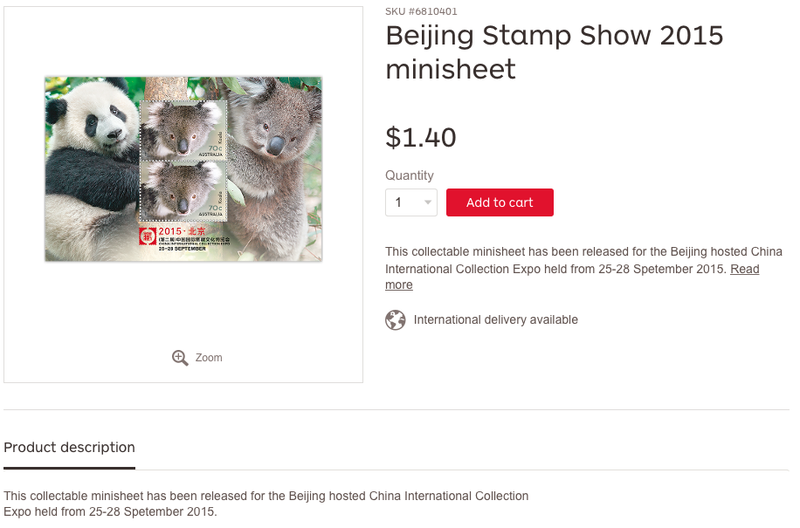 The first product available is the $1.40 Koala miniature sheet for the China Stamp Show, with the Hong Kong sheet hopefully to follow. Update (5 November 2015): Australia Post has confirmed the printer of the Beijing and Hong Kong show sheets is RA Printing. 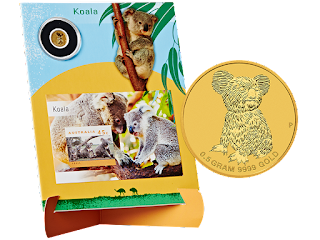 The original Koala stamp is printed by Ego, so this is the first time this stamp has been printed by RA Printing. 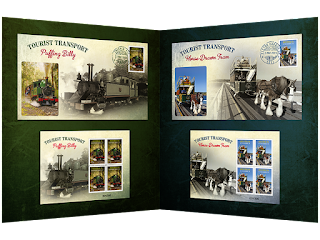 Likewise the Tram stamp will be new (original is printed by McKellar Renown). 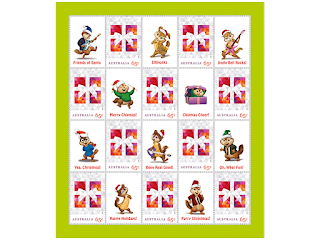 Following on from last year, three more Christmas stamps have been added to the Personalised Stamps™ range. The sheet with the Present stamp, also includes the 65c Dove stamp (again there is likely to be 9 of one design, and 11 of the other). 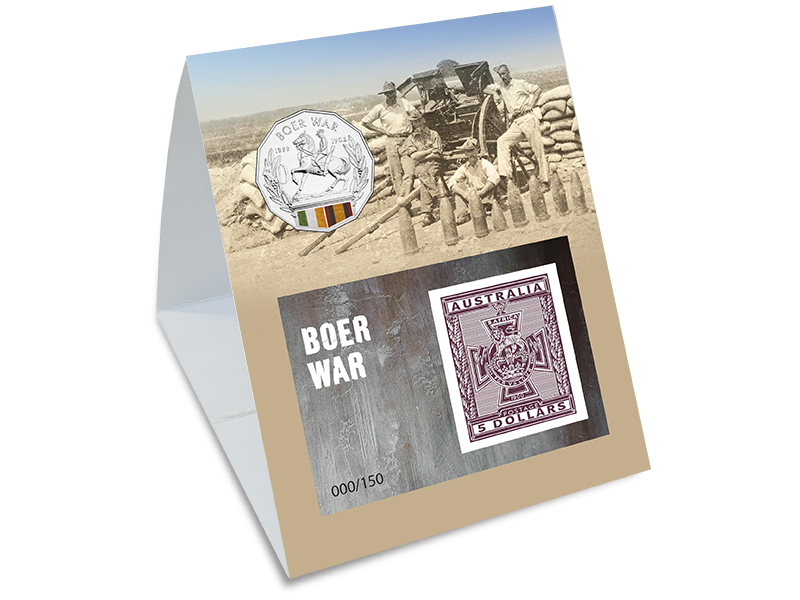 The printer, perforations and phosphor tagging are expected to be the same as before, but will be confirmed once the stamps have been examined. 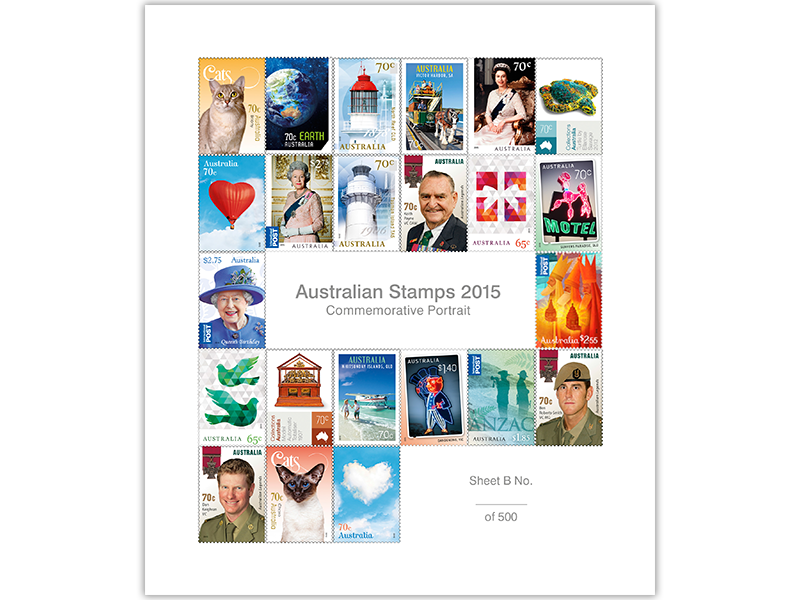 Readers are reminded that I will be splitting my sheets of Personalised Stamps™ up, and collectors who are interested in a set of three should contact me. 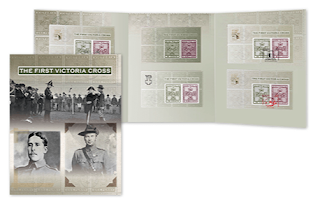 Update (5 November 2015): In a surprise change of printers, the base sheets are printed by RA Printing, rather than McKellar Renown. This might be due to the small quantities required. 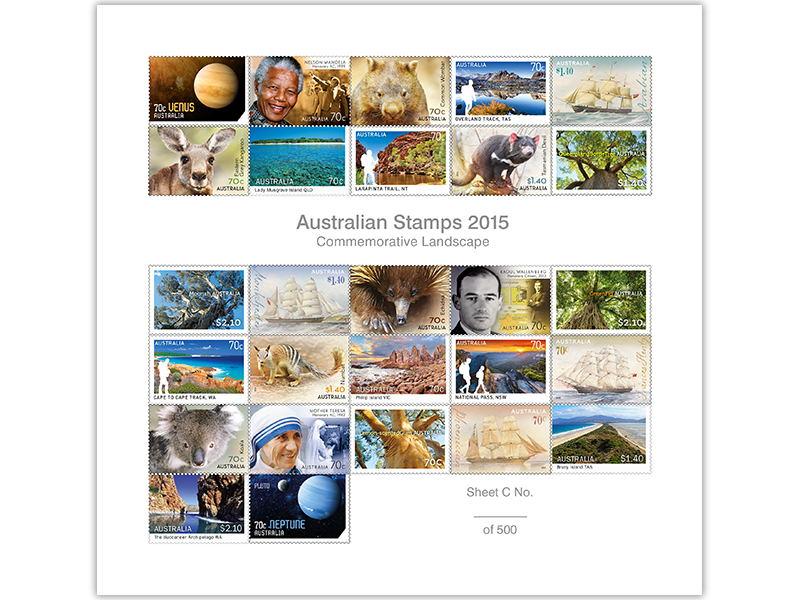 Update (9 November 2015): Appears Australia Post has rejected by designs. I will redesign them and resubmit. 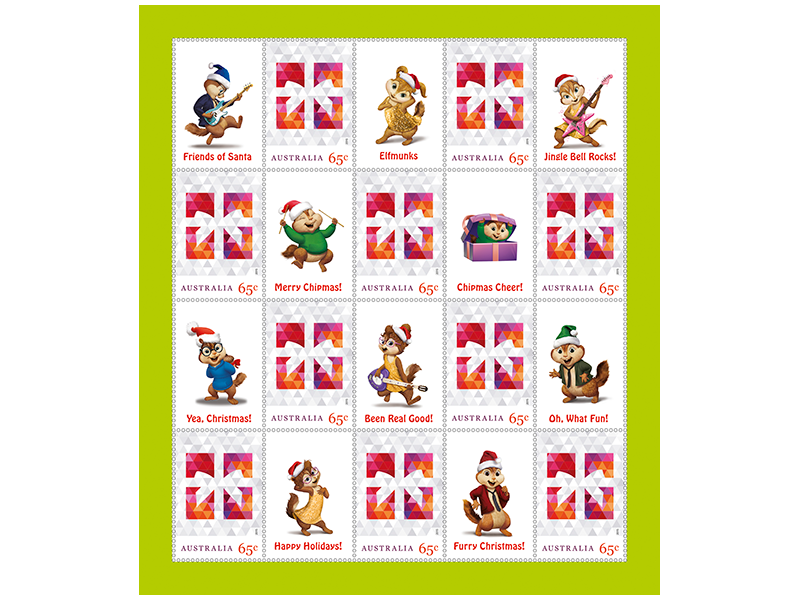 Readers of the latest Stamp Bulletin would have noticed the Chipmunks pack containing two sheetlets of 10 x 65c Christmas Present stamps and 10 tabs. 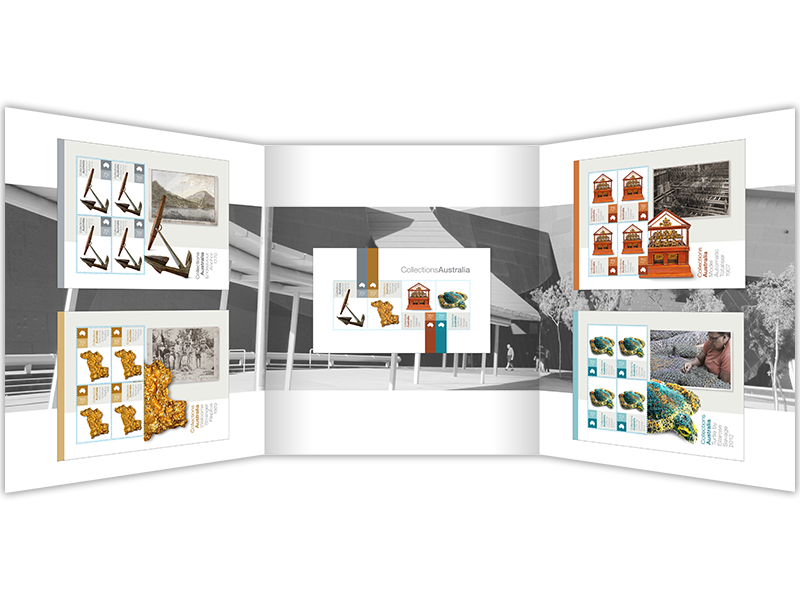 The format of these sheets is similar to those in the past, and for specialised collectors results in the a new variety. 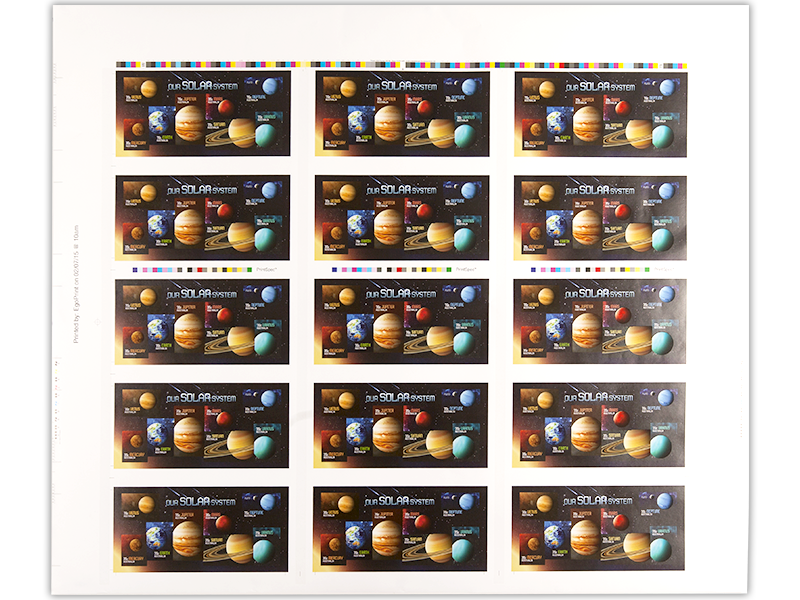 While it is has not be confirmed it is likely that the printer will be RA Printing (Ego Print printed the regular sheet stamps). 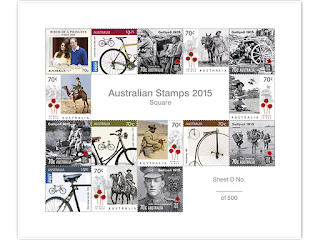 Update (5 November 2015): Australia Post has confirmed these stamps are printed by RA Printing. 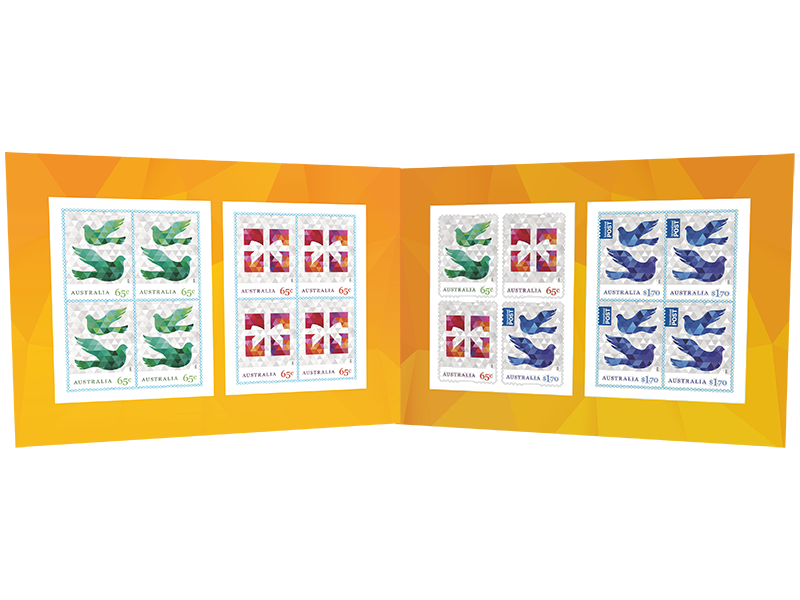 Stamp Show Souvenirs Available Online Soon? 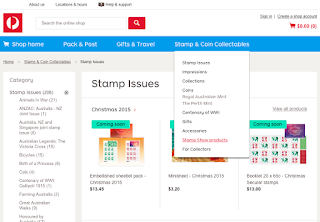 First seen this morning the Australia Post webshop has a new section for 'Stamp Show Products'. At the moment the listing is empty, as are the Christmas pages. Hopefully products will be uploaded for purchase from tomorrow, when the Christmas issue is available. 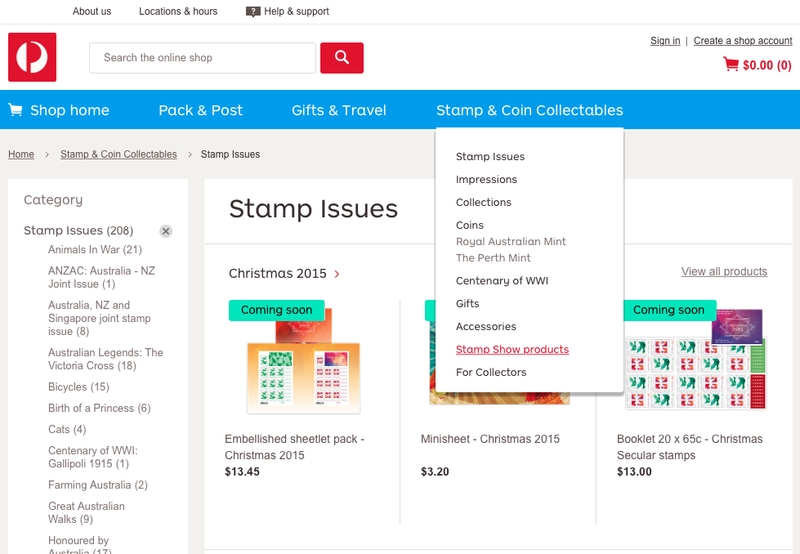 To avoid the problems in the past with phone ins and people placing multiple orders etc., Australia Post has started a new system where collectors can register their interest in buying a product, and purchasers will be selected at random. Registrations closed on 1 November 2015, and collectors will be advised within 5-10 days of the closing date whether they have been successful. Registrations were extended until 3 November due to distribution problems with the Impressions catalogue to customers in Western Australia. 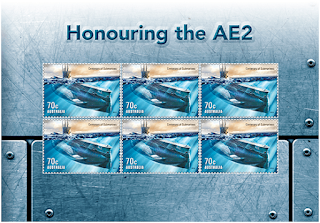 Marking the centenary of the AE2, this pack contains three pre-stamped envelopes, and postage paid postcard and an imperforate miniature sheet containing six 70c Submarine stamps. Update 1 (5 November 2015): Printer added to the AE2 pack. Again Australia Post is issuing a limited edition foiled stamp pack containing this year's Christmas stamps. 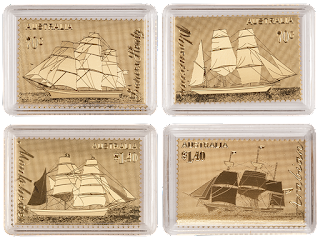 Three sheets containing a block of four of the gummed stamps with foiled designs. 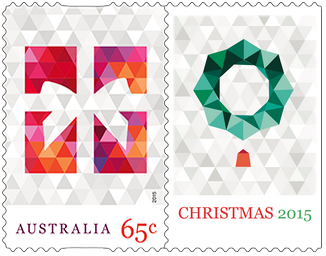 A sheet containing four foiled self-adhesive stamps (2 x Present, 2 x Dove (65c and $1.70)). The write up for this prestige booklet makes the contents unclear. 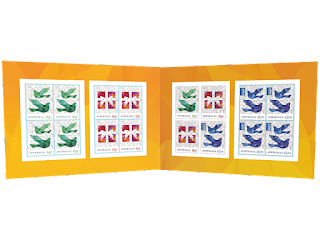 It is likely to contain four gummed panes featuring each stamp in a block of four, and a pane printed on silk with self-adhesive gum containing all four stamps. 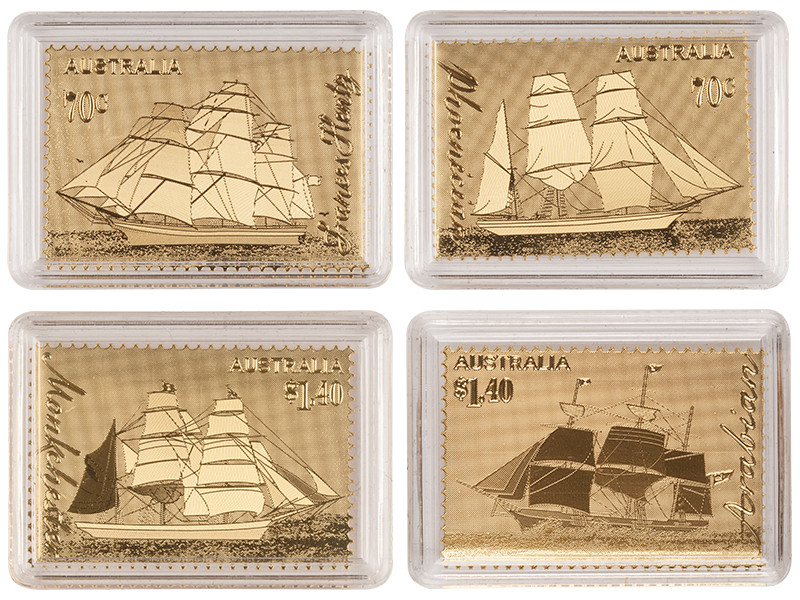 Lastly, the usual gold foiled stamps this year reproduce the Era of Sail stamps. These gold foil stamps are valid for postage, but at almost $25 a stamp, you'd never use them! Update 1 (28 October 2015): Changed availability date to 26 October 2015, reflecting the first day these went on sale. Update 2 (30 October 2015): Changed availability date of Christmas Pack to 30 October 2015, reflecting the first day this went on sale. 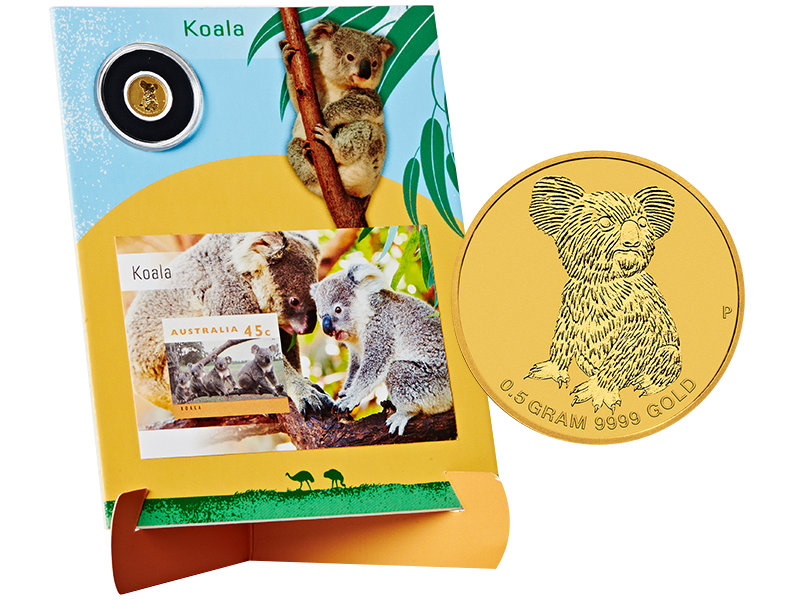 Last year Australia Post joined with Perth Mint to release three gold coin and imperforate miniature sheet packs; and again the two have joined up again. Every year I always look forward to the Multisheets. These sheets can contain a few surprises, numerous varieties, and are always excellent value for money. This year's sheets are no different. Update 1 (30 October 2015): As predicted these were placed on sale from 30 October 2015. 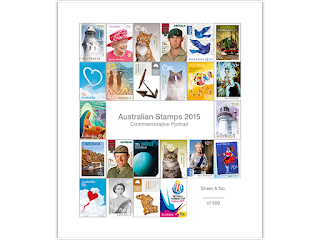 Apart from the number of coin and stamp products, another thing notable about the 2015 Impressions™ range is number of 'Special Collections'. 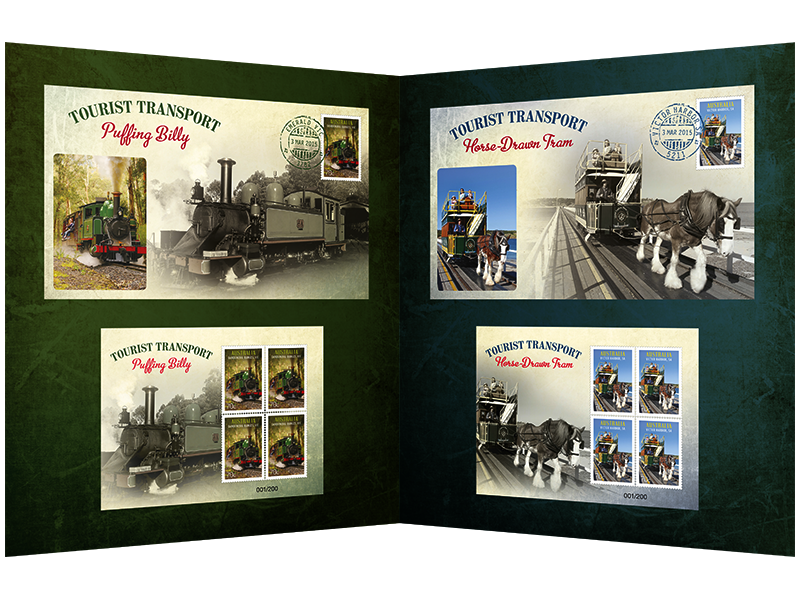 Contains two numbered miniature sheets, each containing either a block of four of the horse drawn tram or Puffing Billy. These sheets are the only source of these stamps in blocks of four. This collection contains another limited edition and numbered new miniature sheet. 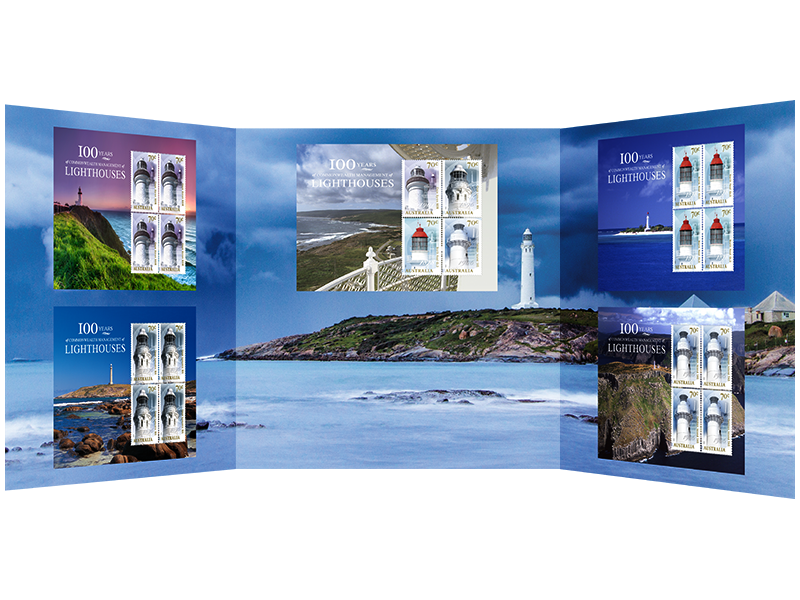 But wait there's another Lighthouses collection... this time a five miniature sheets collection, and unsurprisingly the sheet in the above collection is not included in this one. 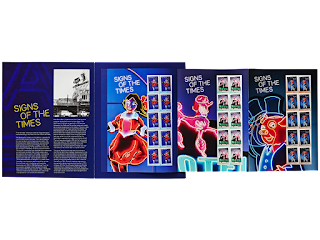 This collection is the same as the Signs of Our Times pack released earlier this year, but with the sheetlets embellished with holographic foil. It remains to be seen if the stamps are different to the original sheet stamps. 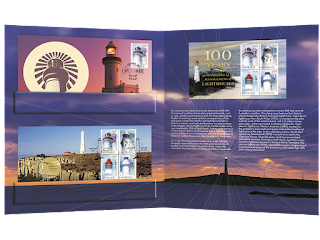 Update 2 (28 October 2015): Issue date of the Lighthouse Miniature sheet, Signs of Our Times and Collections of Australia pack changed to 26 October to reflect the first day of availability. Update 2 (31 October 2015): The Lighthouses Special Collection has been removed from the webshop. 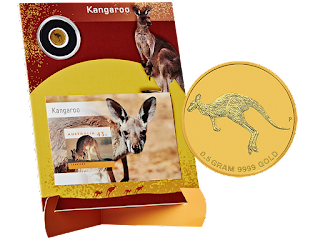 It is possible this item has been removed as it will not be available until after 2 November 2015, however the Tourist Transport Collection has not been removed. It is not yet known if this item will return or if it now only available via phoning up the Philatelic Bureau. 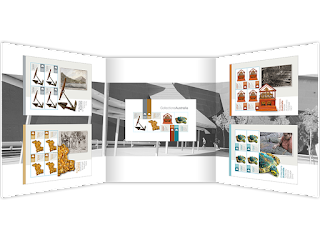 Update 3 (2 November 2015): The Tourist Transport pack has gone on sale from 2 November. Update 4 (9 November 2015): The Lighthouses Special Collection is available to order from Australia Post. According to mail order the item was removed from the online shop by mistake. 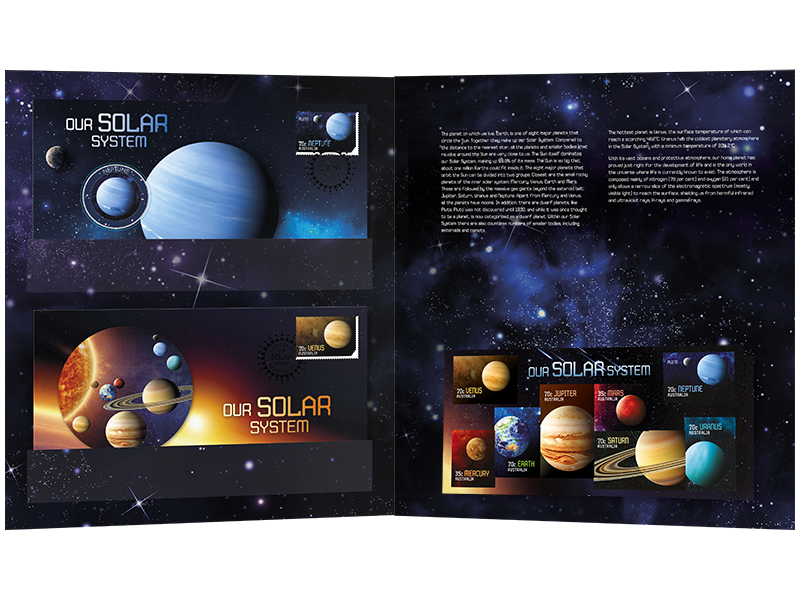 While the Solar System issue received excellent feedback from collectors, the follow Impressions™ items may elicit a mixture of responses. 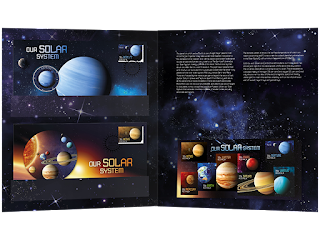 There are at least four different limited edition Solar System items available. 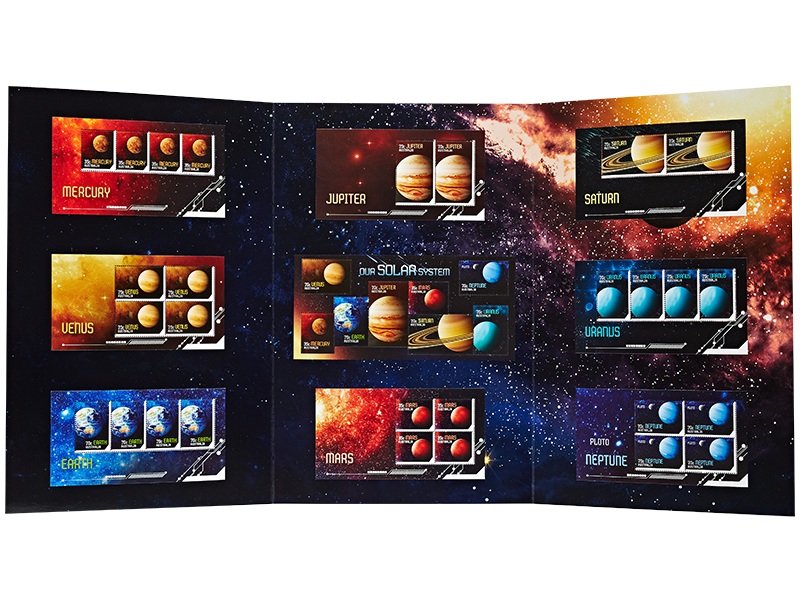 Contains eight miniature sheets, each containing either two (Jupiter and Saturn) stamps, or four stamps (other planets). 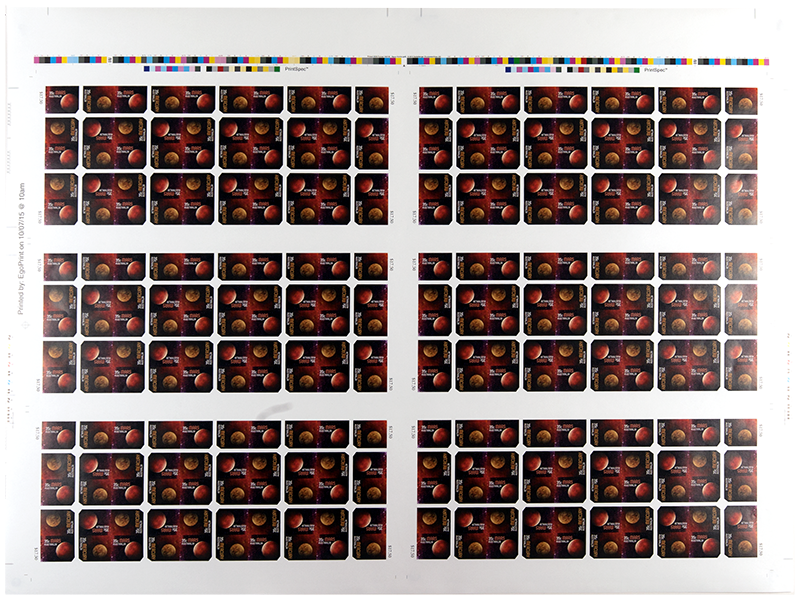 The Mercury and Mars sheets are the only source of these stamps in a strip or block of four. 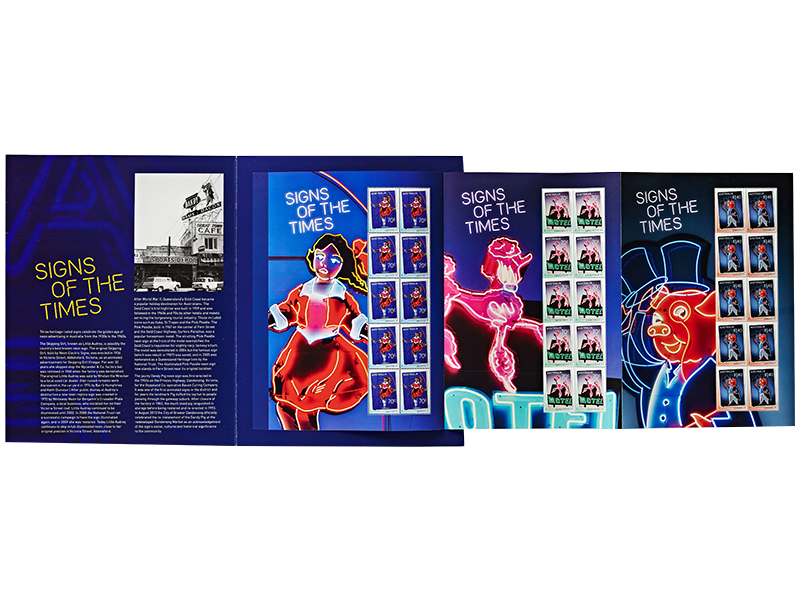 This year we have not one, but two imperforate press sheets. These will no doubt be very popular with space collectors, and I encourage collectors to get in early to secure their pair. 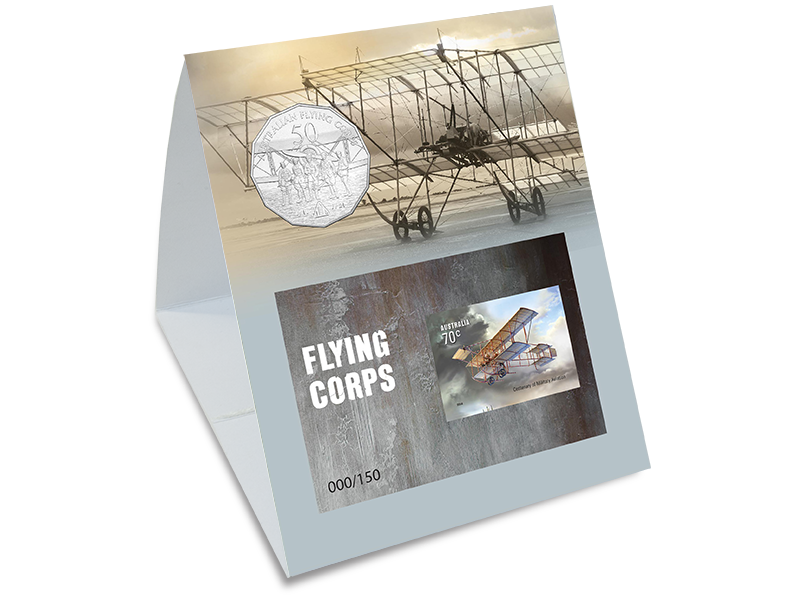 The selling price of these is again very reasonable - $99 for the miniature sheet press sheet (face value of $73.50) and $119 for the 35c sheets (face value of $105). 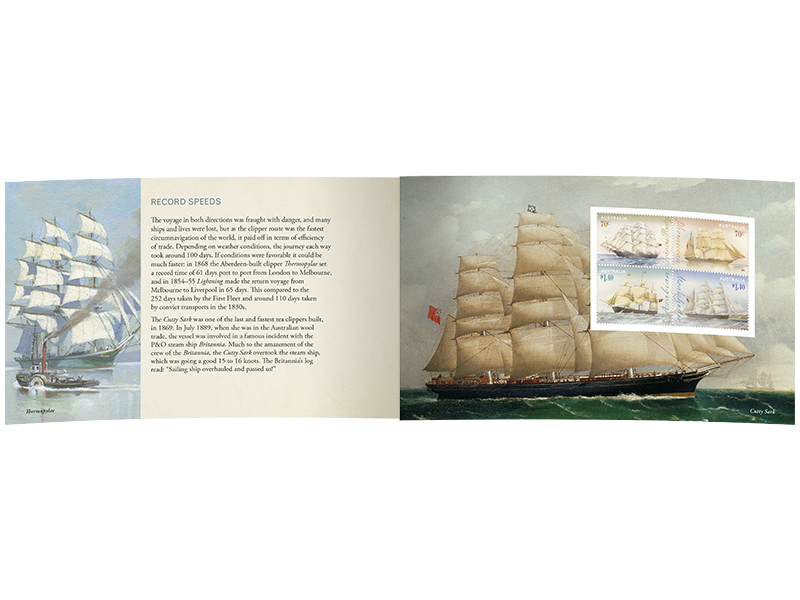 The two sheets can be purchased together for $195 (saving $23). If you have ordered the two sheets separately, Australia Post mail order should pick this up and refund you the $23. If they haven't please phone mail order. 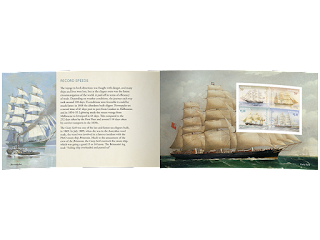 Contains one miniature and two covers. The miniature sheet is said to be imperforate and embellished. 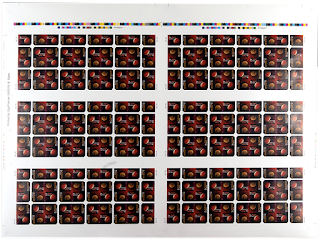 Whether there is any difference between the sheet in this collection and from the imperforate press sheets above remains to be seen. Update 1 (28 October 2015): Changed availability date for two items to 26 October 2015, reflecting the first day these went on sale. Noted discounted price for buying the two imperforate sheets together. 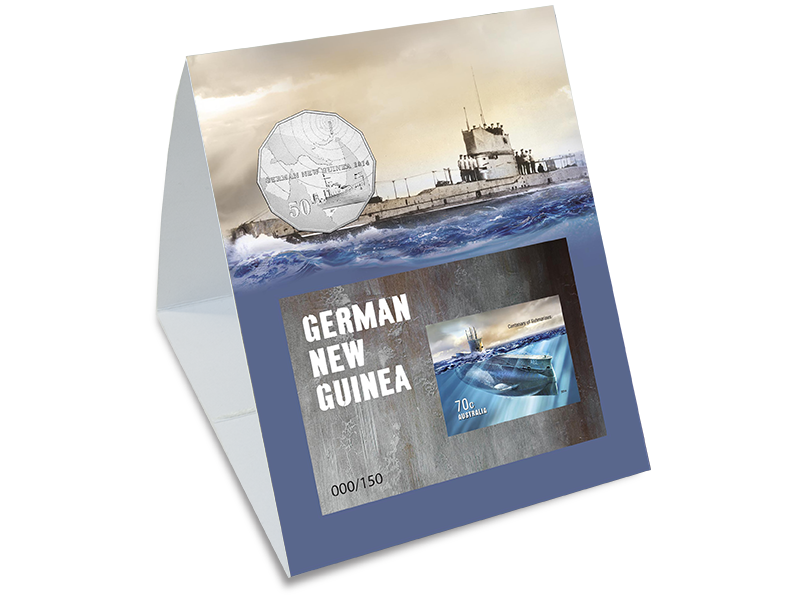 Update 2 (31 October 2015): The special medallion cover (not listed above) featuring three medallions and a (regular?) 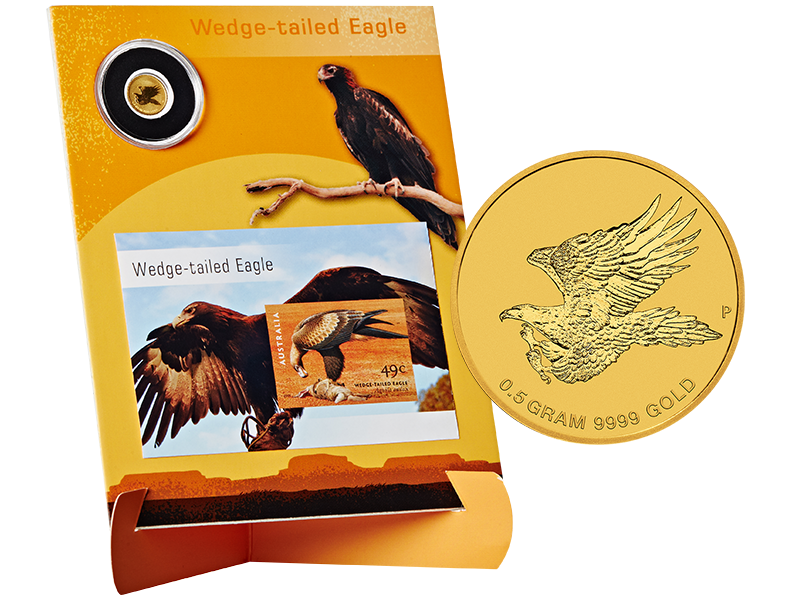 miniature sheet with a gold foiled postmark has been removed from the webshop. It is not yet known if this item will return or if it now only available via phoning up the Philatelic Bureau. Update 3 (2 November 2015): The medallion cover has returned to the webshop from this date. 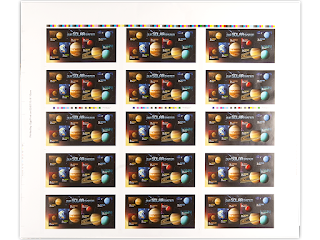 Update 4 (10 November 2015): Printing process added for the miniature sheet pack; information added about refunds to those collectors who purchased the two imperforate sheets separately. Unfortunately you can have too much of a good thing at times. Again Australia Post will release several coin and imperforate miniature sheets packs (all limited to 150).